Elephants are majestic, amazing creatures, but they could be in trouble, along with other species of large mammals. If they disappear, we’d be robbed of the chance to see these giant animals roaming the Earth in their awe-inspiring glory. In response to this, 43 wildlife experts, from across six continents and in seven languages, collaborated on an open letter and study in BioScience, asserting the need to conserve these species, which it refers to as “megafauna.” Ignoring the problem will result in the “loss of many of the Earth’s most iconic species,” according to the paper, and would prevent both scientists and people from experiencing them firsthand. The species identified include elephants, gorillas, rhinoceroses, lions, tigers, bears (oh my), wolves, and other large mammals. And it’s a serious problem. According to the paper, 59 percent of the world’s largest carnivores and 60 percent of the largest herbivores are facing extinction, particularly in Saharan Africa and Southeast Asia, where they are prey to illegal hunting, deforestation, human population growth and expansion, and other factors that we can control to an extent. As previously mentioned, the loss would be twofold. Scientists have only just begun to discover what roles these mammals play in our ecosystem. Their extinction could result in the loss of years of scientific research. 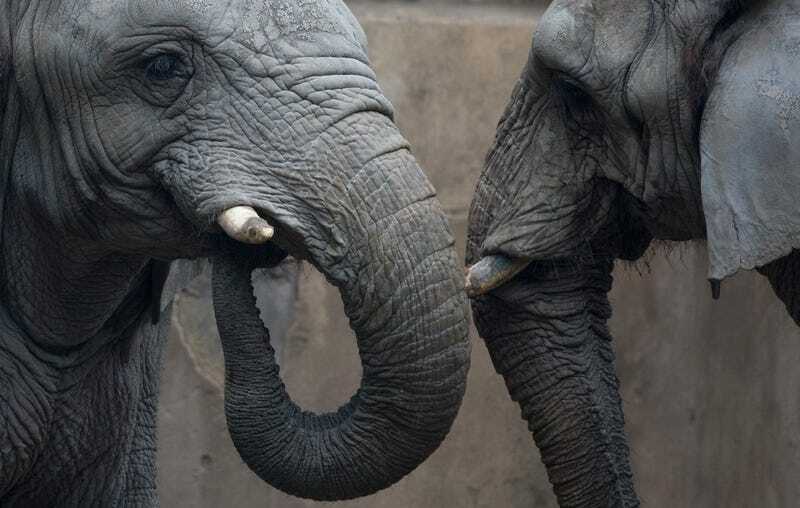 Additionally, and this isn’t just me loving elephants, they emphasize that large animals do play a role in tourism—especially to areas that don’t have much beyond that—and in education. “Besides contributing considerable revenue to conservation, wildlife-based tourism can contribute significantly to education, economies, job creation, and human livelihoods,” the paper states.